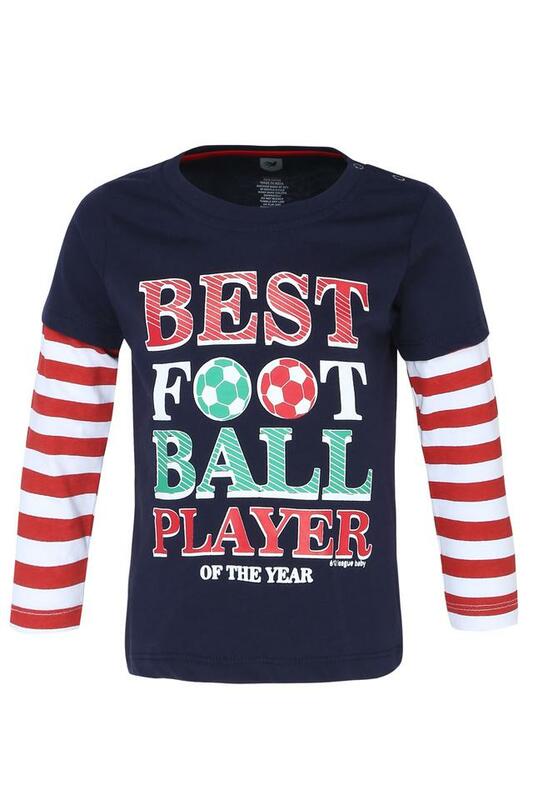 Cool and trendy, this tee from 612 League is perfect for your little master's picnics and other casual outings. 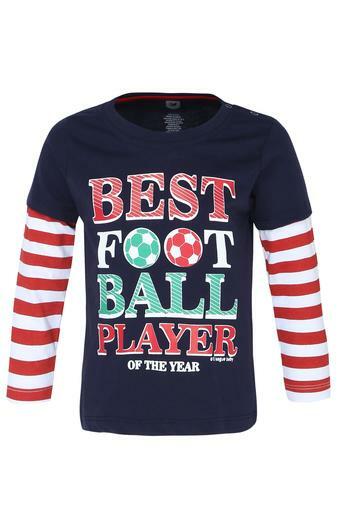 Any youngster will enjoy wearing this graphic print tee, owing to its comfortable good quality. Besides, it also features round neck and full sleeves which adds to its design. 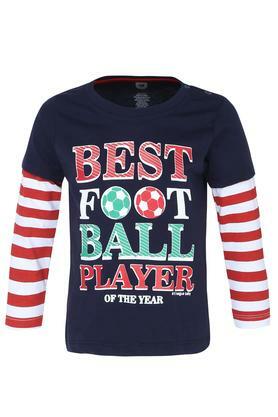 Ideal for wearing on a regular basis, this tee will be a nice addition to the apparel collection of your son. 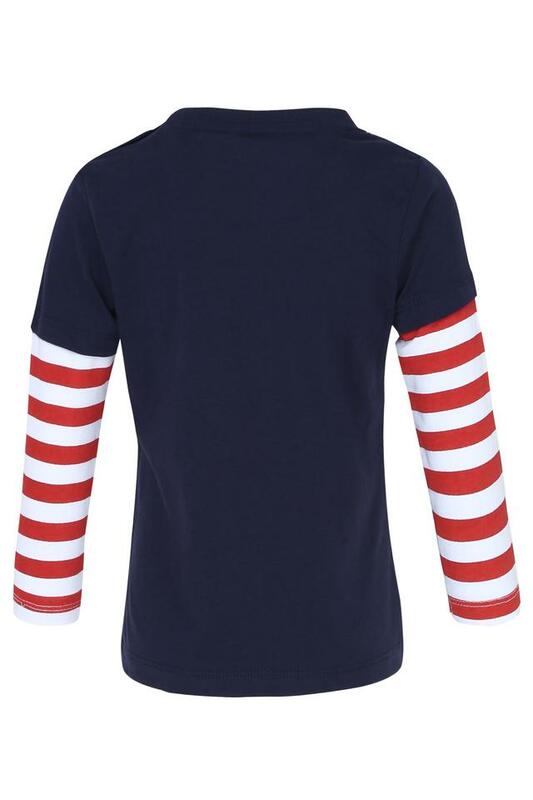 This tee will go well with a pair of shorts and sneakers. 612 League celebrates a childs inner star, the internal strength that encourages them to stand tall, reach high and dream big. It takes pride in being a part of the transformation from being kids to becoming teenagers. The brand epitomizes todays children smart, savvy, fashionable and active the Global Indians of tomorrow.